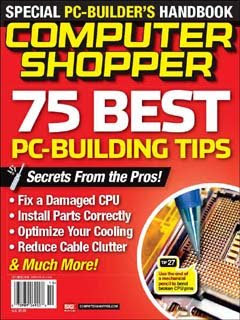 Computer Shopper is a monthly home computing magazine published in the United States. The magazine at one time held the record of being the heaviest magazine, totalling well over 800 pages per issue on a large 10" x 15" format. Most of these were advertisements for mail order computer & computer parts stores. Since the rise of the world wide web and online ordering the magazine has shrunk a great deal, although it still features reviews of over 300 products per issue.